Silver Spring, Md. — 02/18/2015 – Detectives from the Montgomery County Police-Collision Reconstruction Unit report that they are investigating a fatal pedestrian collision that occurred this date. Police say that at approximately 11:17 a.m., 3rd District officers and Montgomery County Fire/Rescue personnel responded for the report of a pedestrian struck in the 1000 block of Cresthaven Drive in White Oak. Fire/Rescue personnel transported the victim to a nearby hospital where she succumbed to her injuries. Preliminarily, witnesses reported a 2005 red Nissan X-Terra had been driving erratically on New Hampshire Avenue and again on Cresthaven Drive. On Cresthaven Drive, the driver crossed over to the left-hand side of the road, striking the victim standing near the bus stop. The X-Terra then struck a black 1999 Buick Park Avenue parked on the street and continued on, striking a 2010 gold Ford Fusion in a driveway. The adult male driver was taken into custody on suspicion of driving under the influence of alcohol. Charges will be determined pending the outcome of the investigation. 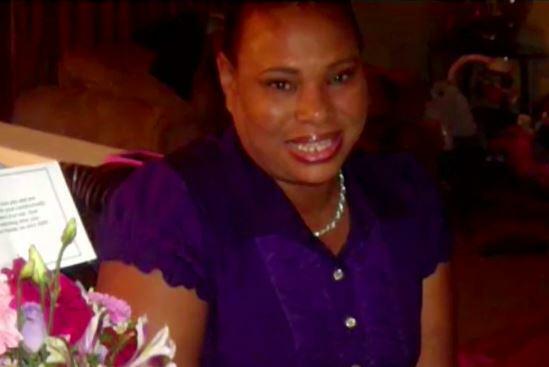 The victim has been identified as Vanessa Dixon, age 49, of Ingraham St in Washington D.C. The driver of the vehicle has been identified as David Rodriguez, age 22, of Cannon Road in Silver Spring. 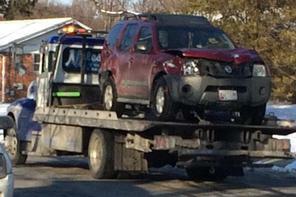 Anyone with information regarding this collision is asked to contact the Collision Reconstruction Unit at 240-773-6620. Callers may remain anonymous. This entry was posted in DWI arrest photos, DWI Arrests by State, DWI crash photos, DWI news articles and tagged bus stop DUI murder, Cresthaven Drive, David Rodriquez charged with DUI homicide, Driving Under the Influence, driving while impaired, driving while intoxicated, drunk driving, DUI, DWI, fatal DUI pedestrian, Montgomery County Police, OWI, Vanessa Dixon killed by DUI driver, White Oak Md.. Bookmark the permalink.